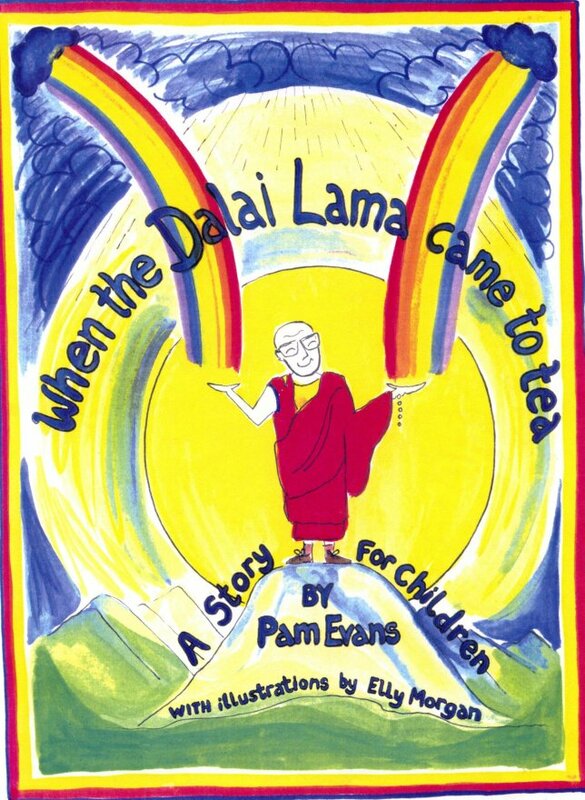 January 24, 2019 0 comments on "When The Dalai Lama Came to Tea – a story for children"
We are very happy to share this eBook with you, written by Peace Mala founder Pam Evans, and beautifully illustrated by Elly Morgan. The book was inspired by an astonishing dream experienced by the founder during a visit to Snowdonia in North Wales, where she spent some time walking in the mountains during the summer of 1993. It received the blessing of His Holiness The Dalai Lama to publish. Three publishing houses (two in the USA) almost published it at the time and then pulled out at the last minute. When the founder was still teaching, she used the book with her Year 7 pupils who loved it. Finally it is now available on Amazon Kindle at £2.99. All proceeds raised will go directly to the Peace Mala educational project for world peace. The book tells the story of a special visit by the Dalai Lama to Wales, and not only gives a good introduction to His Holiness, but also to Buddhism and Tibet. We hope you will want to purchase it for your children and grandchildren; and if you are a teacher, for your pupils. The eBook can be purchased here from Amazon. If you have an Android or Apple device, you can also read the book by downloading the Kindle app, which is free of charge; and there is also a free app available if you would like to read it on a PC or Mac.